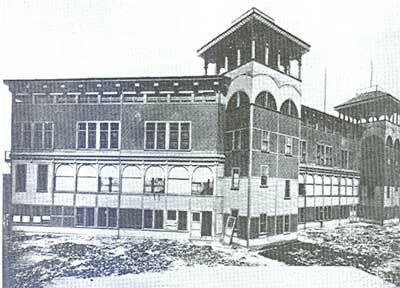 The National League Beaneaters (Braves) played here while the South End Grounds was being rebuilt after the Great Roxbury Fire, May 15, 1894. The park featured a double-decked pavilion 203 feet long and 62 feet wide. The entrance to the park was flanked by two 75 foot towers, each containing stairs to the upper level. 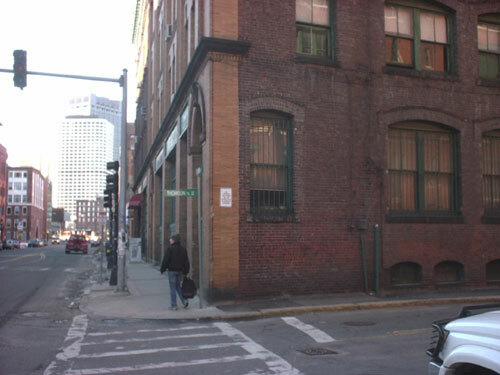 The site is currently used for office space. Thanks to the Bostonian Society for helping find the location of this park. © 2003-17 Paul Healey. Black and white photograph from the Boston Public Library from the Boston Wharf Collection. Original photograph taken by Frank E. Porter.